ChargerLeash is a fully functional high-performance charge and sync cable with built-in intelligence that pairs or "leashes" your portable device with any USB charger. 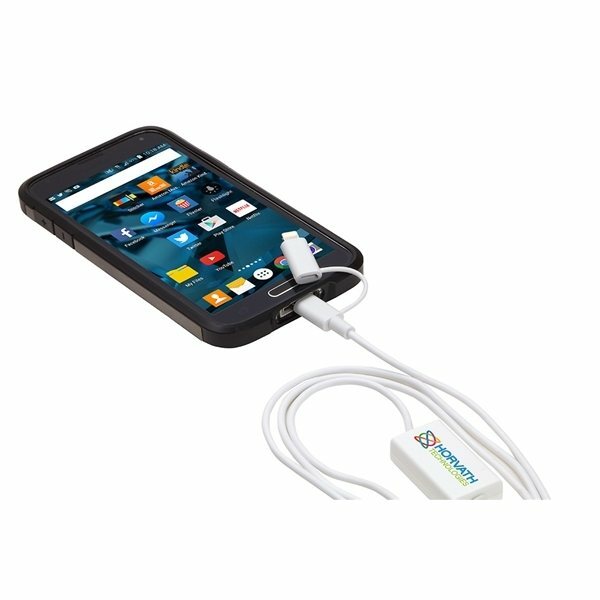 When you disconnect your device from the cable (power source) the ChargerLeash will alert you within seconds using an audible alarm. Never again leave your charging accessories behind. 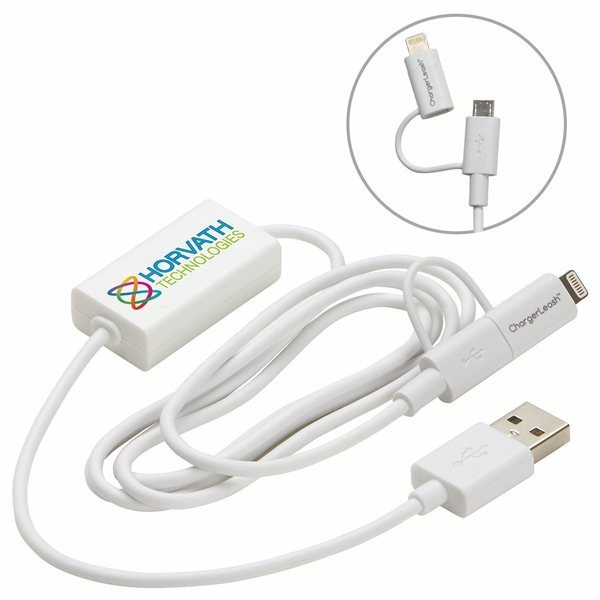 It is the only Smart Charge and Sync Cable with built-in alarm. 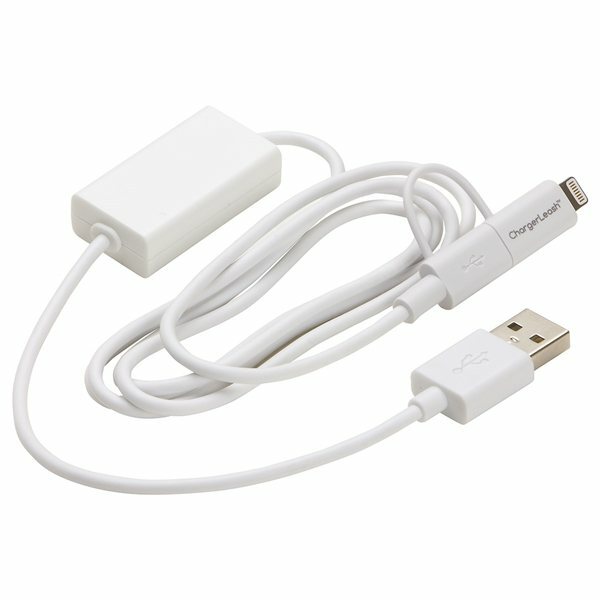 Includes both MFi Certified Apple Lightning connector and Micro-USB tip. Includes a "Snooze" feature to silence the alarm. Output: Lightning Connector = 5V 2.4A. Output: Micro USB Connector = 5V 2.1A. As a delivery company, this was just the right product to promote our services in town. We were able to hear the feedback from clients at the tradeshow that everyone thought ours were different. Looked good, the quality was better than expected. Quality delivered. Thanks I ordered this product a few years ago. It was terrific. It has held up very well. Happy with customer service- very prompt in answering my questions and concerns. Love the logo on it. the product was better than I expected for the price and the imprinted logo was also better thank expected.